Former Newcastle midfielder and Ivorian footballer Cheick Tiote has died at the age of 30 after collapsing during a training session in China. Tiote, who only moved to Chinese second division outfit Beijing Enterprises four months ago, was reportedly rushed to hospital on Monday. He won the 2015 Africa Cup of Nations with the Ivory Coast national team. Demba Ba, with whom Tiote played during his seven-year stay at St James’ Park, paid tribute to his former team-mate on Twitter. 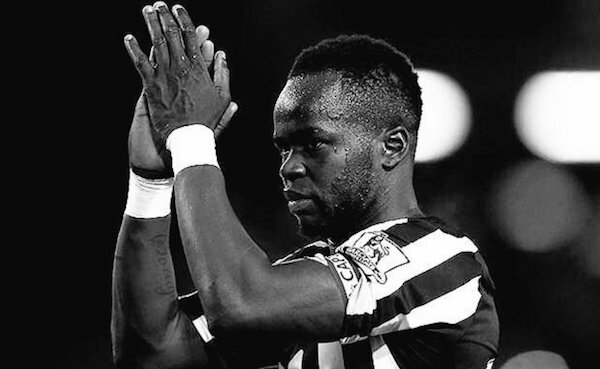 He wrote: ‘may Allah gives grant you jannah (paradise) brother Tiote’.